Luma Series - LO - Prolume, Inc. Manufactured in America and constructed with a sturdy extruded aluminum housing, the LO delivers superior lumen output from a very low-profile package. 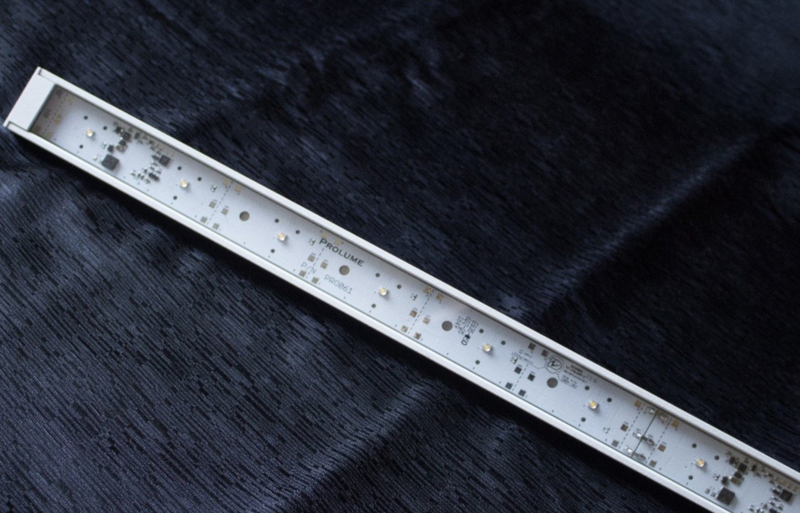 Produced in both standard output and high output, the LO includes onboard 0 – 10 VDC dimming and both fixed and articulating mounting options to deliver the maximum versatility for nearly any linear application. Offered with either a clear or frosted lens option and able to serve dry environments, with a damp option available, the LO satisfies many needs for specifiers around the globe. Touting all these features, it is easy to understand why LO has been specified as the ideal solution for demanding applications that include cove, accent and task lighting.